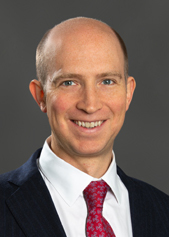 Michael Sholem is a special counsel in the Financial Services Group in Cadwalader’s London office. Michael has broad experience acting for banks, fund managers and financial technology firms in relation to financial regulatory issues. Michael’s practice focuses on the supervision and regulation of banks, investment firms, payment institutions and asset managers, including in connection with new authorisations, changes of control, corporate governance and regulatory investigations. His practice has also included advising non-financial groups on the impact of new regulation, with a particular focus on market infrastructure and financial technology. He also has extensive experience advising clients on developments in European Union laws and Brexit issues. Michael obtained his MA in Politics and Modern History from the University of Edinburgh. He is admitted to practice in England and Wales.